Welcome to the Your Next Stamp DT Dare challenge for February. Each month the design team is given a special challenge to show off the new stamps and dies released each month. For the month of February the challenge is called......Paint the Town Red!! This means to make red the predominant colour RED! 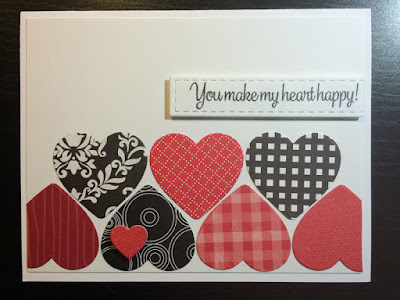 Here is what I created using the new Stripe-tastic Heart die set. I also used the Scrapworks Strips die set and the sentiment from the Happy Heart stamp set. Be sure to stop over to the YNS blog and leave a comment. You can also save 20% off your purchase by typing in the code below. Thanks for stopping by and enjoy the DT inspiration. 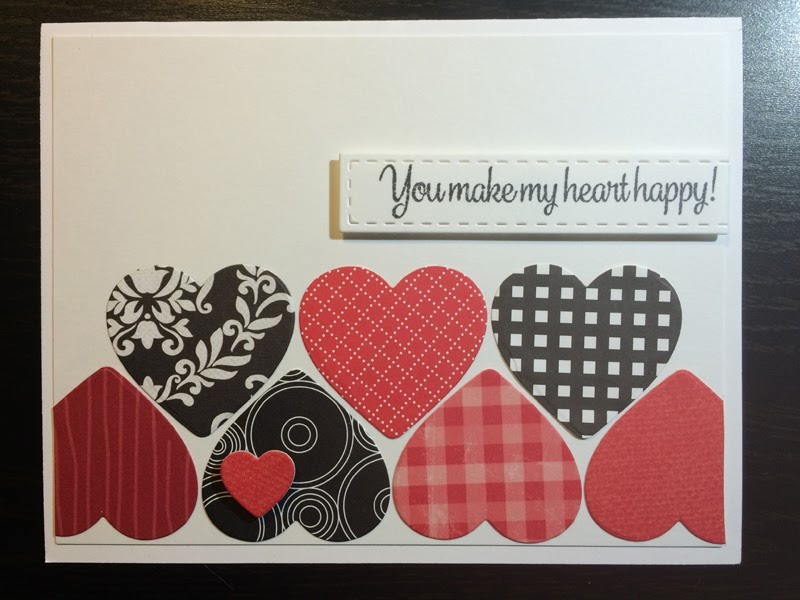 Like the different pattern papers used for the hearts.Like this wonderful red w/ b&w card. Have a BEE-utiful day!